26043 was new as D5343 from BRCW on 2nd October 1959, and allocated to 64B Haymarket, although by July 1960, 60A Inverness was its home depot. Withdrawn on 19th January 1993, following a power earth fault. 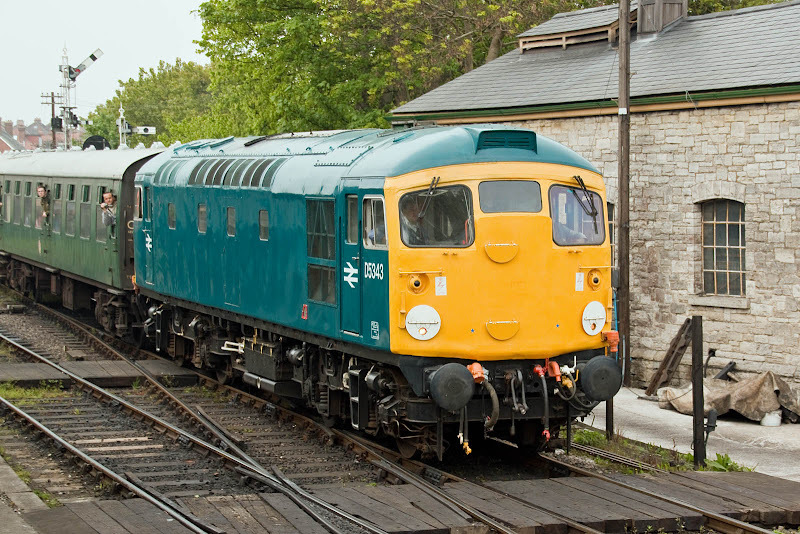 Preserved by the Cotswold Mainline Diesel Group, and based at Toddington since April 1994. 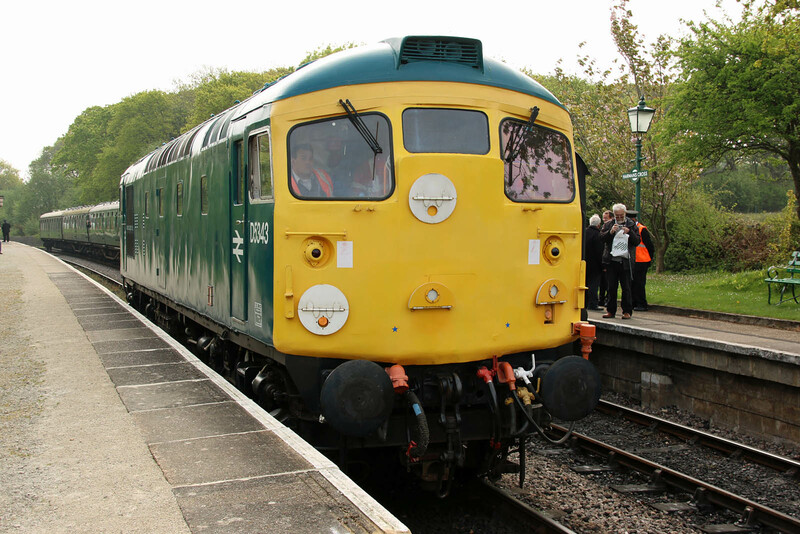 Restored to use in 2013, but did have some traction motor issues, now resolved. 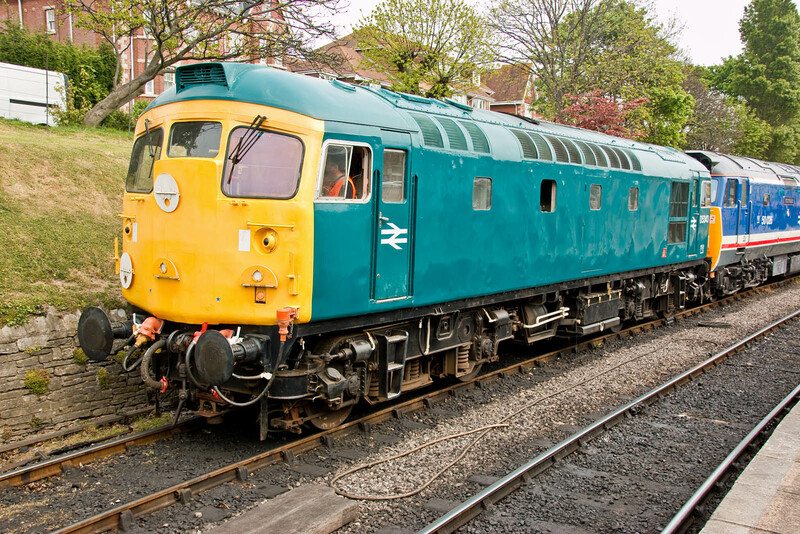 I first saw this locomotive in Glasgow Works when I visited on 4th October 1980 (RCTS visit?). The repair work was completed the following month. Easing empty stock out of the carriage siding at Harman's Cross. Running around the empty stock. 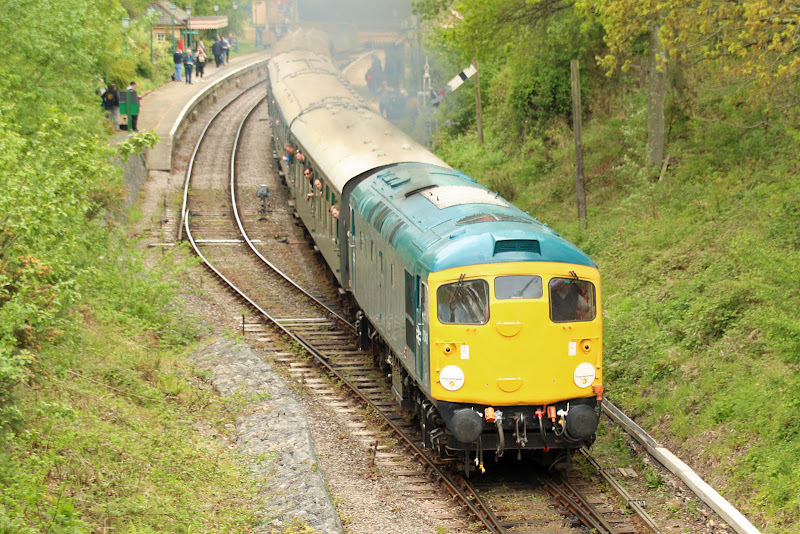 Arriving at Swanage with 10:45 from Norden. 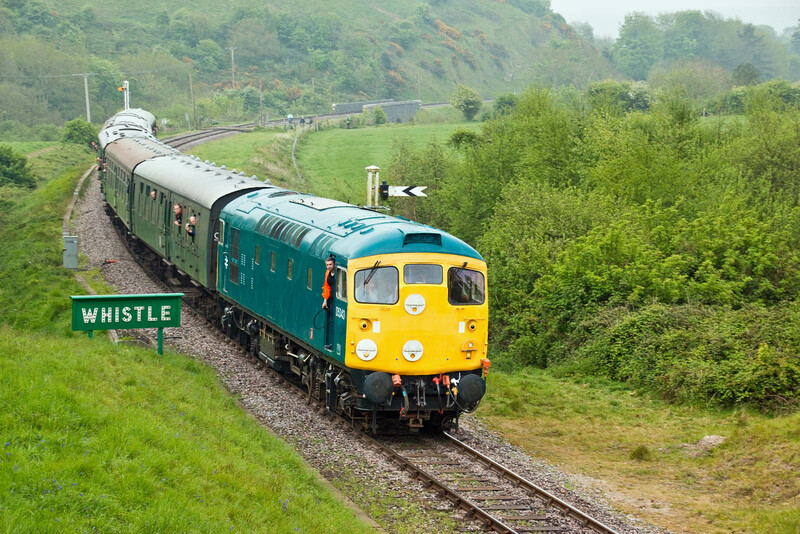 Non-stop through Harman's Cross with 14:50 from Norden. 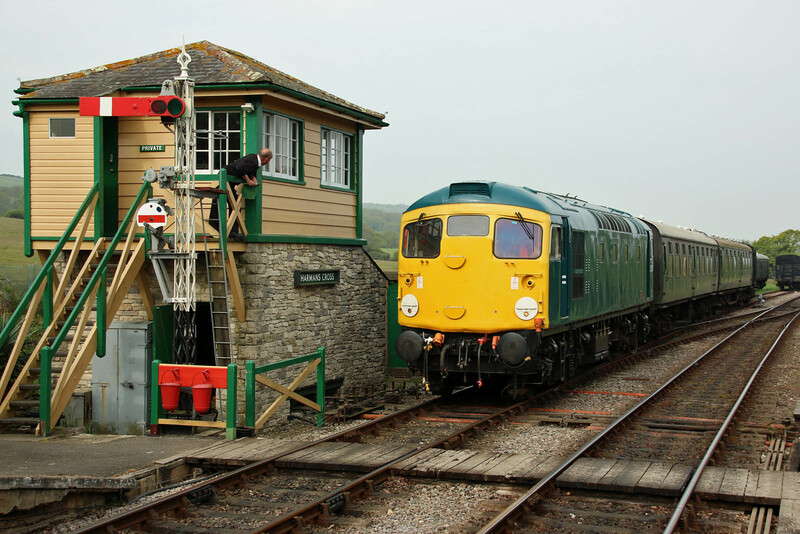 Arriving at Norden with 17:16 from Swanage.